An AutoLISP program doesn’t have to be difficult. We can create simple LISP program and get many benefits from it. It’s not just about speed up the drawing creation, but also to maintain our standard. In system variable and COND conditional, we discussed how we can use block to create grids. This will ensure the users (or you) to use the same block for every drawing. Now let’s see how to control the other properties you need to control: layers and styles. Let’s explore the possibility to use it to control our drawing standard. Layers are the most important thing to manage our drawings. 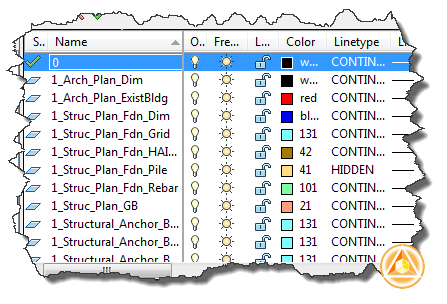 If you’re not familiar with layer standard, CADD manager has a short article about the concept. We can change the current layer using setvar. We did it before here. Current layer variable is controlled by CLAYER. Get current layer and save it to a variable. Set current layer to a different layer. In this sample, annotation layer. We ask for required data for creating text. In this sample we ask for text content and position. You may want to consider ask for height and rotation angle. But it’s not necessary in this sample. Set the current layer to previous layer. It should works. But we still have a problem. What if the layer doesn’t exist? 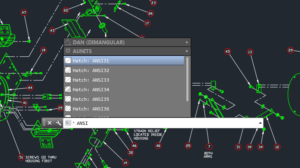 AutoCAD returns error warning. We have discussed about using conditional IF in AutoLISP before. The problem is IF only allows you to run one statement. So we need to add (progn GROUP OF STATEMENTS) to run several statements. Now AutoCAD will try to find the layer first before executing our command. If it doesn’t exist, then it will give a warning. If the layer exists, then it will run our program. There are several possibilities to handle this situation. We will see in the next tutorial, other alternatives to deal with non-exist layers. credit: this article was written based on this AfraLISP tutorial. Command: DDD Unknown command “DDD”. Press F1 for help. I tried typing the code myself or even copy/ pasted. What could the issue be?? It seems to be using whatever I typed in as text as a command. Thanks.